Ikke alltid på lager - bestillingsvare innimellom. Favorittbrettet til alle oss som har seilt i mange år. En genistrek fra Sebastian Wenzel. Meet the game changer. 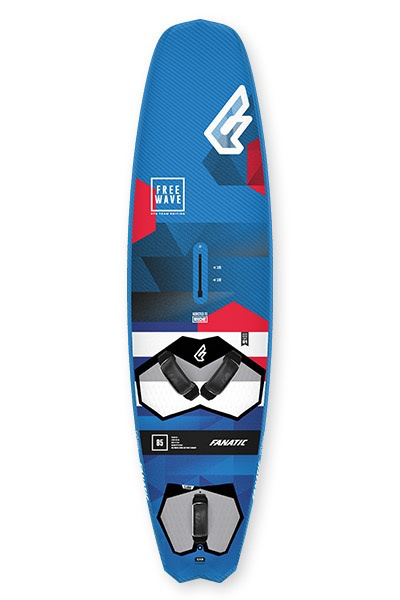 The FreeWave STB has the classic shapes beat in every way with its innovative design unleashing incredible levels of versatility.The wide tail and more parallel rails ensure the FreeWave STB is extremely easy to ride, whilst delivering truly unrivalled early planing and upwind ability. The compact shape offers exceptional jumping control and a turning ability that can genuinely rival dedicated waveboards in smaller waves.Whether you are progressing from flatwater to waves or already a master of both, there is no board that can flatter your technique and cater for your needs in a more complete way than the FreeWave STB.From high wind freeride, through freestyle, bump & jump and full-on wave sailing, the FreeWave STB does it all with a perfect blend of ease and style.